talkhealth > Blog > 2015/04 > What’s coming up for allergy awareness week? This year Allergy Awareness Week runs from 20th to 26th April and there are loads of ways to get involved. I have been neglecting my blog these past few months (sorry!) but I’m easing myself back in. Circumstances outside my control left me with very few blogging brain cells left and not much time to write them. It did make me realise just how much time I spend on this blog and also how much I enjoy it. I’ve missed you guys ;o). First of all there are loads of ways you can get involved. AllergyUK are planning lots of updates this year around the subject of ‘severe allergies’ and will be sharing information on their website, Facebook and Twitter accounts. 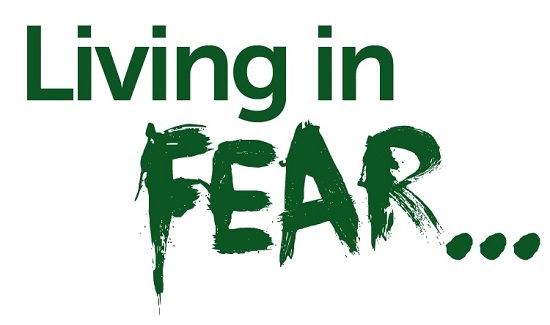 Follow them to stay informed and search for the twitter hashtag #LivingInFear to track the debate. Look out for coverage in the media next week. There should be lots of awareness and hopefully this will help improve understanding of the very real danger allergies can pose for those who have severe allergies and fear an anaphylactic attack. Just a few weeks back I was eating a Tuna Nicoise salad, having checked it would be OK. After eating half the salad my lips began to swell up. I felt that tell-tale itching in the back of my throat and I began to panic. I was with my niece, we were out walking, in a cafe miles from anywhere. This wasn’t happening. Thankfully nothing worse happened. She was a bit worried too, but the reaction wore off in about half an hour. I have no idea what caused the reaction but I suspect a tiny amount of cross contamination of one of my allergens, probably dairy but I’ll never know. Stay calm. Sit still and take immediate action. Take antihistamines. Don’t move. Don’t walk. Stay where you are are monitor your situation. For me this is the most important part. My worst reactions have happened when I’ve tried to get home, back to my hotel room, away from everyone, or done exercise. Don’t do it. Stay still and try not to panic. Tell someone. If you are with friends or family, explain what’s happening. Tell them what they might need to do. If you are in any doubt, administer your adrenaline injector and phone 999. Act fast if your breathing is affected, your heart rate feels different or your throat starts to swell. You know your body and your symptoms. Do you have a severe allergy? Do you live in fear? Don’t be shy. Don’t be embarrassed about your allergy. Talk about it, tell people. Explain what it means to you to have allergies and what happens when come into contact with your allergen. Don’t be ashamed. Be proud and by sharing, by helping to raise awareness in this way you could help others. I think on the whole I don’t feel fear on a daily basis. I take so many precautions and am prepared wherever I go to avoid dangerous situations and minimise risk but accidents happen so stay safe people and tune in next week for Allergy Awareness Week. I am going to endeavour to share a blog for each day of Allergy Awareness Week so wish me luck. There will be competitions, product reviews and loads more. So what are you doing for Allergy Awareness Week?